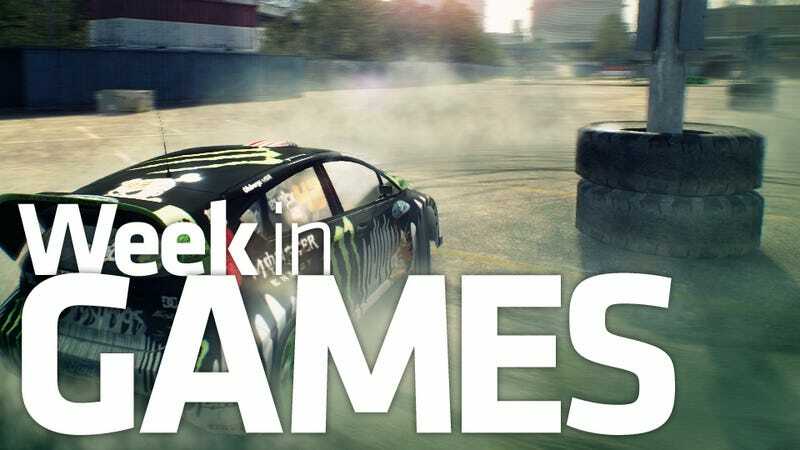 Codemasters' rally-racer DiRT 3 is the lone major console release this week, bringing a new gymkhana mode to its menu of off-road offerings. Also: Cake Mania: Main Street (DS); Dead or Alive: Dimensions (3DS); Dungeons & Dragons: Daggerdale (PC, 360); Emily The Strange (DS); Kung Fu Panda 2: The Video Game (DS, PS3, Wii, 360); LEGO Pirates of the Caribbean (PC); NASCAR 2011: The Game (Wii); Paws & Claws: Pampered Pets 2 (DS); Murder in Venice (DS). June 7: Red Faction: Armageddon, Infamous 2 June 14: Alice: Madness Returns, Child of Eden, Duke Nukem Forever. June 21: F.E.A.R. 3. June 28: Call of Juarez: The Cartel. Super Street Fighter IV: Arcade Edition. July 12: NCAA Football 12.